DAYTONA BEACH, Fla. (May 18, 2018) – The NASCAR Diversity Internship Program (NDIP) will welcome its largest class in program history during 2018 Monster Energy NASCAR All-Star Race weekend, NASCAR® announced today. 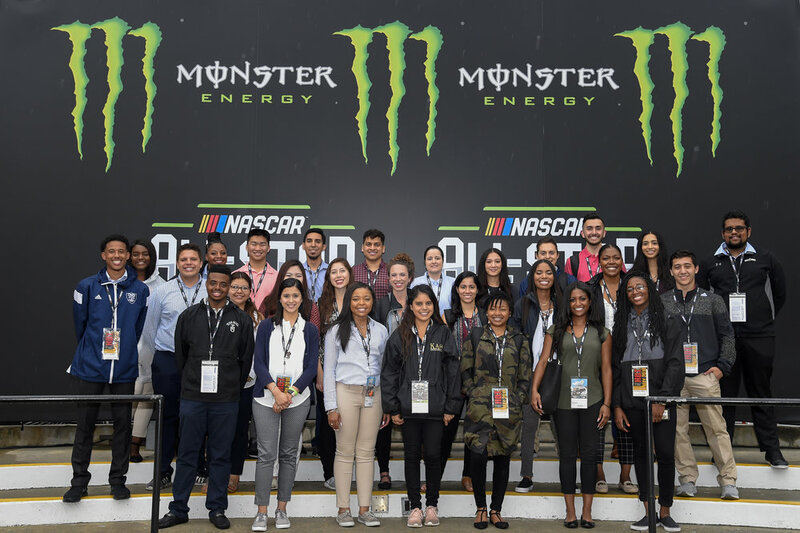 More than 30 top students from across the country have arrived in Charlotte for orientation at Charlotte Motor Speedway, the NASCAR Hall of Fame and other racing venues before attending the Monster Energy NASCAR All-Star Race on May 19 (8 p.m. ET on FS1, MRN and SiriusXM NASCAR Radio, channel 90). Following orientation, the interns will officially begin the 10-week, paid program. Since its inception in 2000, NDIP has offered a select group of students from diverse backgrounds a unique hands-on experience in the motorsports industry. The program has grown to include several industry partners and continues to provide career opportunities for multicultural students as one of the premier internships in sports. Among the notable NDIP alumni are Brandon Thompson, managing director of the NASCAR Touring Series, and Jusan Hamilton, who last year became the first African American to serve as race director for a NASCAR national series event. Hamilton also oversees the NASCAR Drive for Diversity driver and crew member development programs. Erica Wilkerson, another NDIP alum, now works in youth marketing at NASCAR and manages NASCAR Acceleration Nation, the sport’s first national youth platform. Pedro Mojica interned with Rev Racing and the NASCAR Research and Development Center before joining International Motor Sports Association (IMSA) as a technical engineer. The 2018 NDIP class will have roles at NASCAR and program partners across the industry which include International Speedway Corporation (ISC), Toyota, Motor Racing Network (MRN) and several tracks and teams. Throughout the program, interns will interact with industry professionals at an array of networking events and lunch-and-learns led by NASCAR executives. The interns will also have access to mentors and NDIP alumni currently working at the sanctioning body and partner organizations. Many of the interns will participate in their first NASCAR experience during Monster Energy NASCAR All- Star Race weekend. The experience will include guided tours of the NASCAR R&D Center, MRN studios and Roush Fenway Racing. The interns will also meet Monster Energy NASCAR Cup Series™ driver and NASCAR Drive for Diversity graduate, Darrell Wallace Jr., the highest placing African-American driver in DAYTONA 500 history. NDIP is open to sophomores, juniors, seniors and graduate-level college students and offers hands-on experience with one of the top sports industries in the country. The internship provides opportunities to multicultural students from all majors with a minimum grade point average of 3.0.